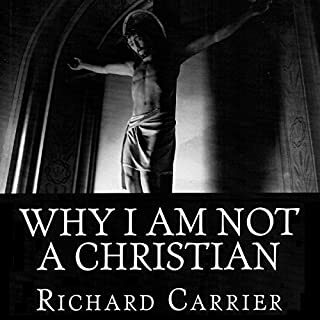 Dr. Richard Carrier, world-renowned philosopher and historian, explains the four reasons he does not accept the Christian religion, describing four facts of the world that, had they been different, he would believe. Those four reasons are God's silence, God's inaction, the lack of evidence, and the way the universe looks exactly like a godless universe would, and not at all like a Christian universe would, even down to its very structure. Dr. Carrier addresses all the usual replies to these claims. Would you listen to Why I Am Not a Christian: Four Conclusive Reasons to Reject the Faith again? Why? What was one of the most memorable moments of Why I Am Not a Christian: Four Conclusive Reasons to Reject the Faith? The systematic way he dismantles apologetic excuses. Which character – as performed by Richard Carrier – was your favorite? Falling over the obvious. He so singularly penetrates the problems and the issues with powerful answers it leaves you reeling. I LOVE this kind of book! Informative, intelligent, cuts right to the chase, and logically explains step by step why he can't be Christian. THis is a powerful book. One of the most powerful for its simplicity and obviousness I have ever read and listened to. GET IT. 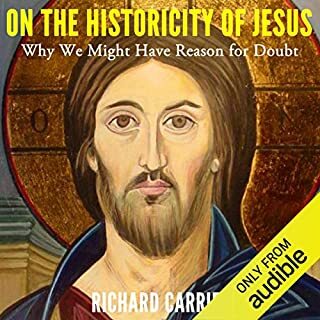 The assumption that Jesus existed as a historical person has occasionally been questioned in the course of the last hundred years or so, but any doubts that have been raised have usually been put to rest in favor of imagining a blend of the historical, the mythical, and the theological in the surviving records of Jesus. Historian and philosopher Richard Carrier reexamines the whole question and finds compelling reasons to suspect the more daring assumption is correct. What was one of the most memorable moments of On the Historicity of Jesus? 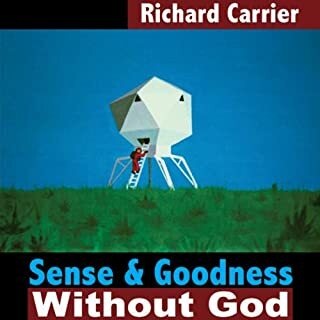 What does Richard Carrier bring to the story that you wouldn’t experience if you just read the book? Carrier is the new Galileo for religion today. His immense intelligence shines through his work. I love reading and I love hearing his books. 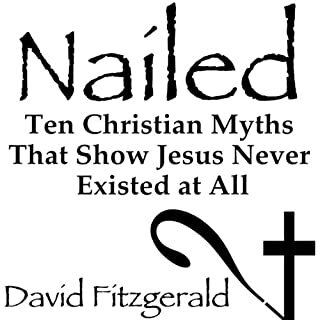 Nailed sheds light on ten beloved Christian myths, and, with evidence gathered from historians across the theological spectrum, shows how they point to a Jesus Christ created solely through allegorical alchemy of hope and imagination; a messiah transformed from a purely literary, theological construct into the familiar figure of Jesus - in short, a purely mythic Christ. Do Everything you write in audible also! Would you listen to Nailed again? Why? I have several times already, YES. What about David Fitzgerald’s performance did you like? I hope he writes 100 more books, AND makes them ALL audible, I WANT MORE LIKE THIS! Would you listen to Sense and Goodness Without God again? Why? His tone inflection, his mood, and experience. yes I laughed several places. GREAT book! Yes, lets have him make his next one audible as well!